Hand built in the UK, with the lostvolts LV-3 pitch and volume theremin you can create music from the ether; eerie sci-fi, psychedelic, ambient, rock, classical etc.. by moving one hand towards or away from the pitch antenna and control the volume by moving the other hand up and down over the volume loop antenna. Believed to be the earliest electronic musical instrument developed in the 1920s, the Theremin - named after its inventor Leon Theremin, is unique in that it is played without being touched, instead by the players proximity to the pitch and volume aerials. This is a Transistorised, Analogue Theremin, using the heterodyning principle. It has coils in its oscillators for a classic Theremin sound. Remember, the tone is generated in the coils. Although it is compact, this is a true analogue Theremin and has a full 6 octave, (adjustable) range. Sturdy anodised aluminium (aluminum) case. Controls on the top for volume loop sensitivity, pitch adjustment and master volume level. There's also a vintage germanium diode in the detector stage. Supplied with telescopic pitch and removable volume aerials. We are no longer allowed to send batteries through the post, so you will need a PP3 or Duracell # MN1604 battery. There is a socket for 9 volt power adaptor (available separately). There is no internal speaker, so it must be used with an amplifier, hi-fi etc. Click on the movie and audio clips to hear what it can do. The added effects are described in the link. Because there are no keys or frets etc, the Theremin isnt the easiest instrument to play, but it has to be the most fun! 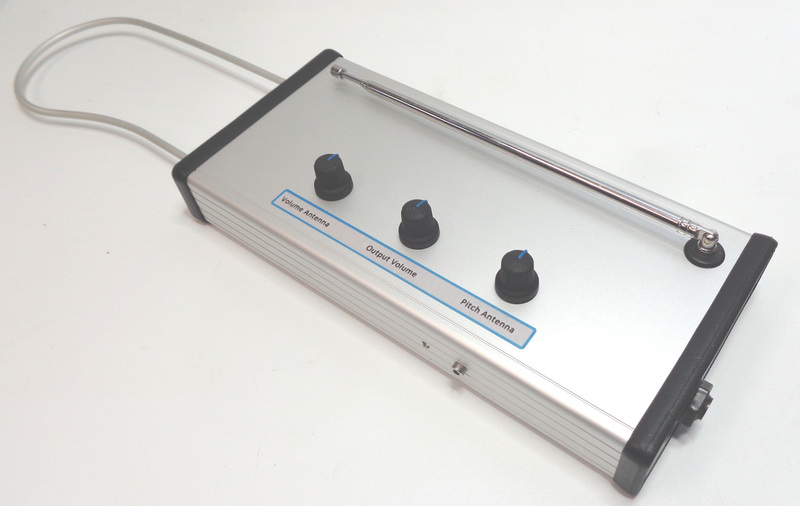 We have been making Theremin's for over 15 years so buy with confidence. See the LV-2 for a pitch only theremin. Detachable pitch and volume aerials. Flat surface or Mic stand mounting. 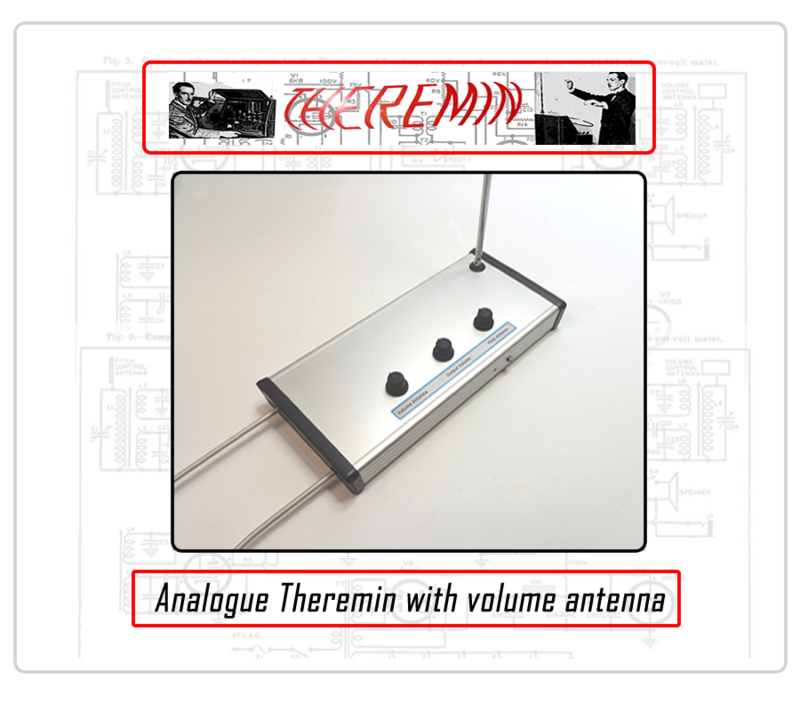 A review of the LV-3 theremin by the wonderful thereminist; Mr Thomas Grillo. Copyright © 2012-2018 - Lostvolts. All rights reserved.